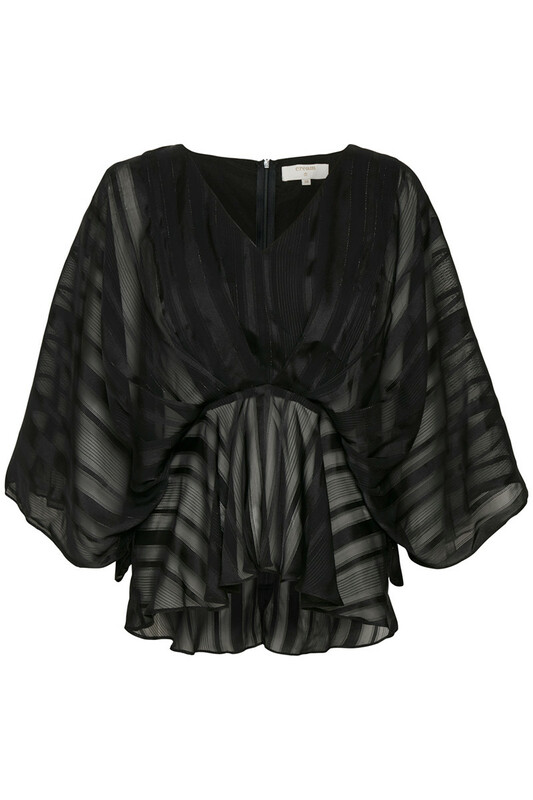 Really elegant and festive blouse from Cream. The eye-catching thing is definitely the trendy bat sleeves and the fabric detail on the front and back, creating a fashionable wrinkled look. Furthermore, the blouse has fine discrete glitter details in the vertical stripes, zip fastener at the neck, transparent parts, v-neckline and a regular fit. It is undoubtedly a feminine and stylish blouse that is a safe choice and fashionable choice for the season's many festive occasions.